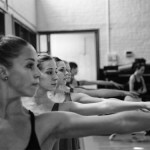 While ballet audiences in Johannesburg recently saw the triumph of young love over parental match-making with the humorous twists and turns of Don Quixote, the Cape Town City Ballet now prepares to serve a far more dramatic and tragic contrast with Camille (at Artscape from 2 to 12 May). In this story, based on the 19th century novel The Lady of the Camellias by Alexander Dumas, the parental interference causes heart-breaking consequences for the two lovers, Armand and Camille. Due to its dramatic intrigue and touching storyline, the novel was first adapted as a stage play. Then following the play’s success, Giuseppe Verdi set the story to music with his opera, La Traviata, in 1853. Perhaps the most famous ballet version of the story was a 1963 adaptation created specifically for Rudolf Nureyev and Margot Fonteyn. Read more about the fascinating background story for this ballet Marguerite and Armand here, or watch them in action with this video. The forthcoming season of Camille is choreographed by Veronica Paeper. It was written in 1990 and last seen in Cape Town in 2007, a season which marked the last performance of the company’s celebrated partnership of the time, Tracy Li and Daniel Rajna, in the roles of Camille and Armand. After a six year break from the stage, Tracy Li returns to renew her role of Camille, partnering with the young Jesse Milligan. Other casts of Camille are Laura Bosenberg and Kim Vieira, while Armand is danced by Thomas Thorne and Daniel Szybkowski. The role of Monsieur Germont, Armand’s father, is performed by Johnny Bovang, previously the company’s danseur noble. 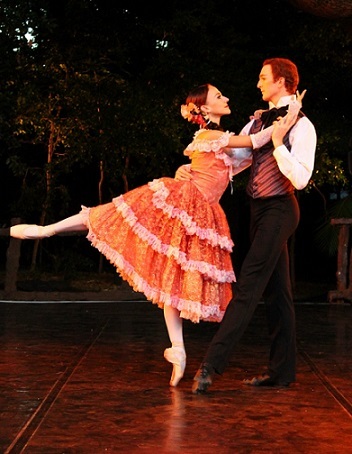 The ballet is danced to Verdi’s La Traviata score, arranged by Allan Stephenson who will also personally conduct the Cape Philharmonic Orchestra (CPO) where they accompany the Cape Town City Ballet at selected performances (see casting). Tickets: from R100 to R280 from Computicket or Artscape Dial-a-Seat on 021 421 7695.